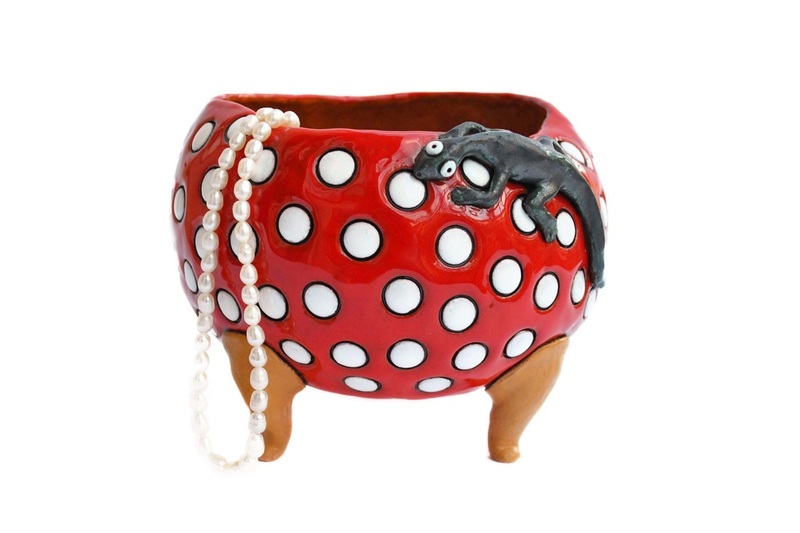 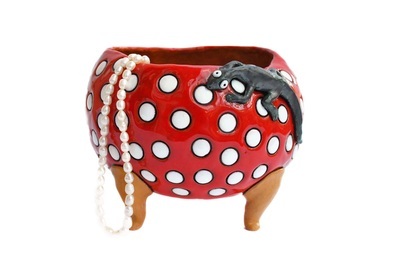 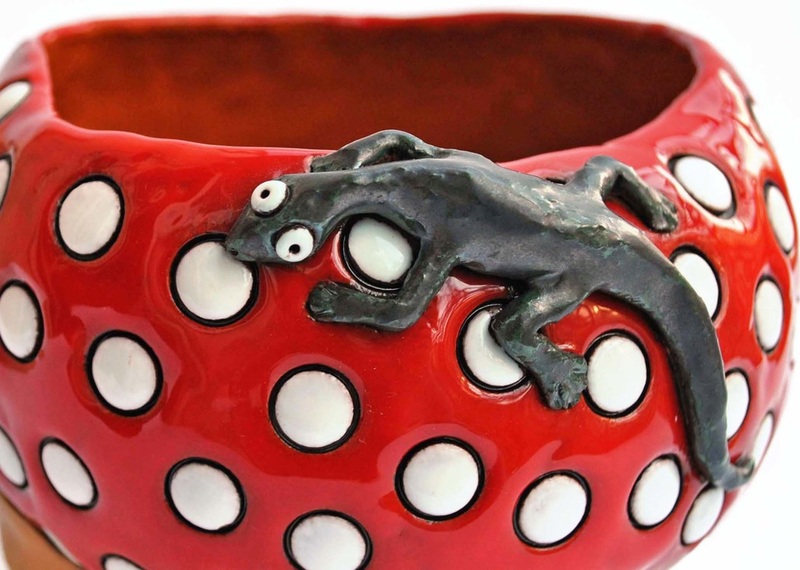 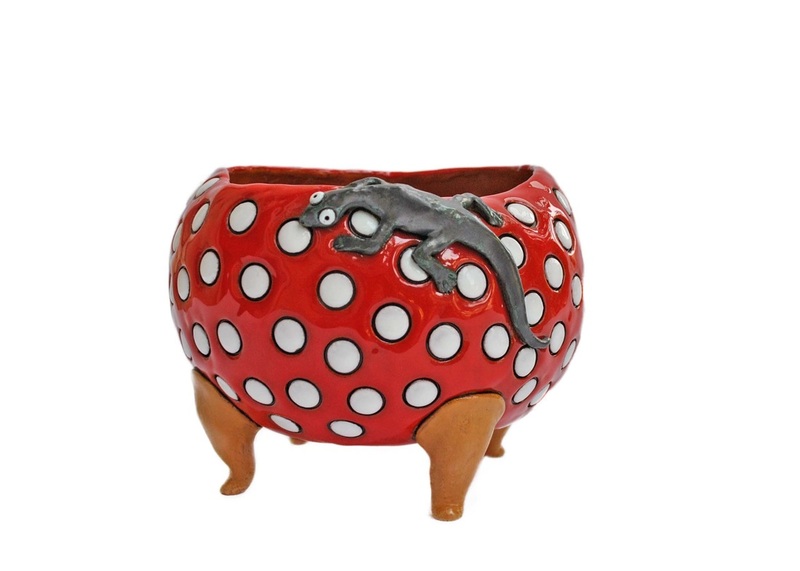 This small things holder in lovely red and white polka dot pattern with a friendly crawling lizard can be home to your small things (of course), serve as a pocket emptier or be filled with your favourite sweets. 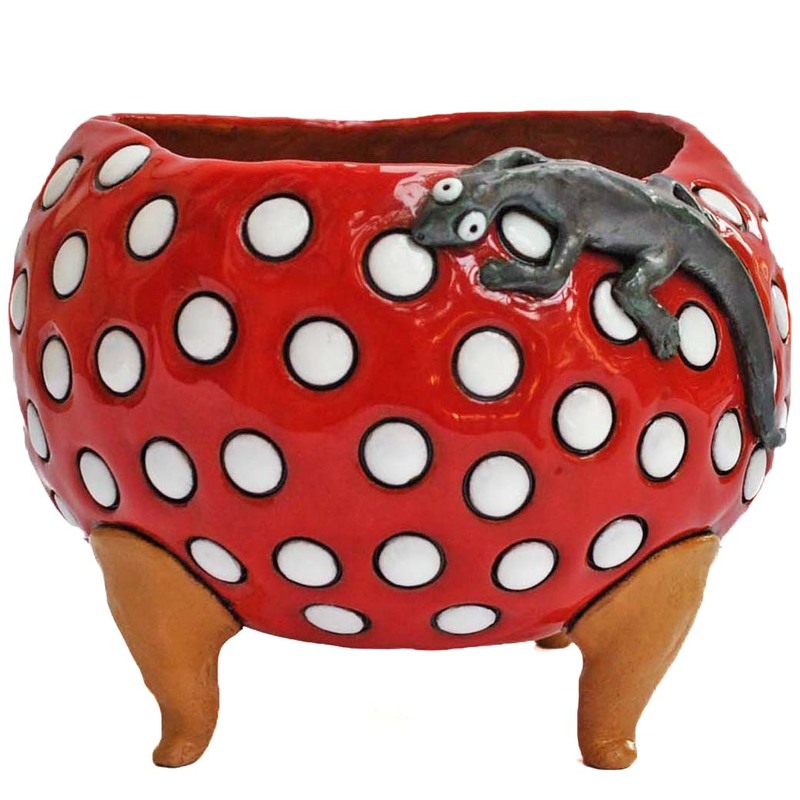 Its red colour will make sure it's always at hand and will never be lost in case of need for emergency candy. Size approximately 11 cm (4.3 in) tall, ~15 cm (5.9 in) wide.